Quick and easy to install push-fit design. 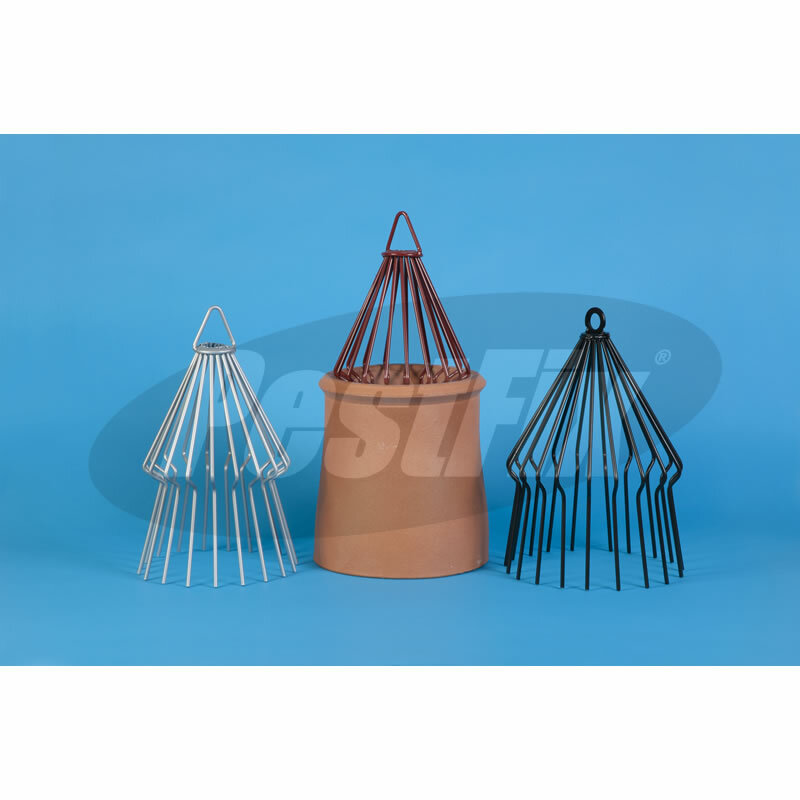 The Decorative Chimney Bird Guard is a simple to fit ornate bird guard designed to keep out pest birds and to stop them from perching on pots by means of its conical design. Made from hardwearing stove enamelled M10 steel. 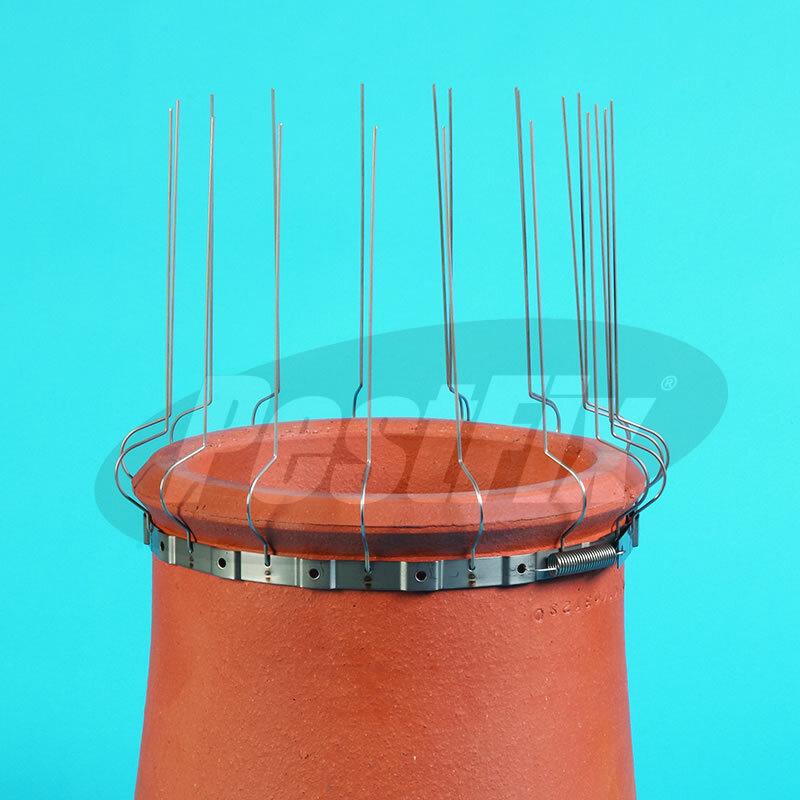 Universal fit 150mm-225mm (6"-9") internal diameter pots. Available in black, terracotta or silver finishes. Simple spring fit gives flexibility meaning you do not have to climb onto your roof to measure-up before ordering. Simply push the base together and let it fan-out inside the pot to secure itself. The most common cause of blocked chimneys is the construction of a bird nest in the flue. These are removed by sweeping them out from the bottom, not from the top of the flue. Typically, the nest is constructed at the level of the top floor ceiling height, about 3 metres from the pot. If not removed, nests can absorb moisture and create damp patches on the chimney breast, as well as bad smells. Once a nest has been built in a flue, birds will habitually return year after year. Removal of nests can be damaging to the fabric of the chimney and prevention of nesting should be carried out after removal. The cost of removal varies depending circumstances.